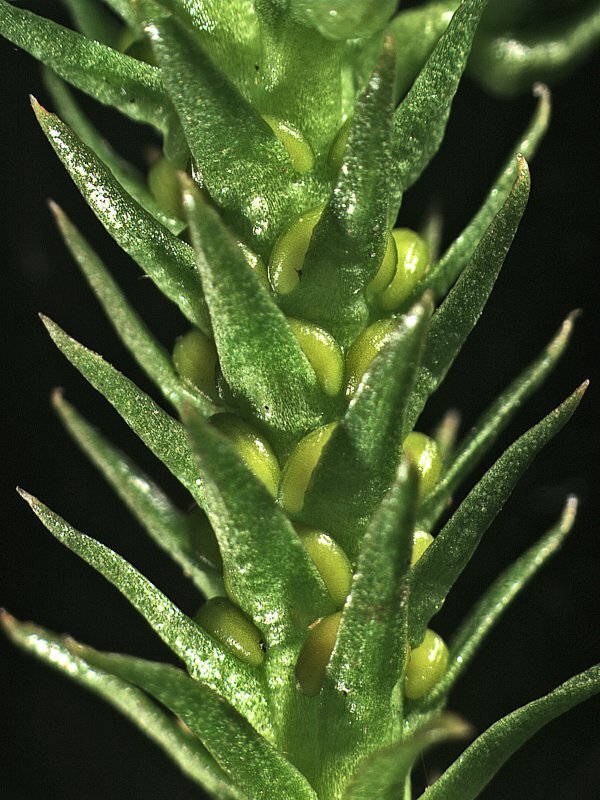 Huperzia australiana is a terrestrial plant bearing rigid and erect branches. 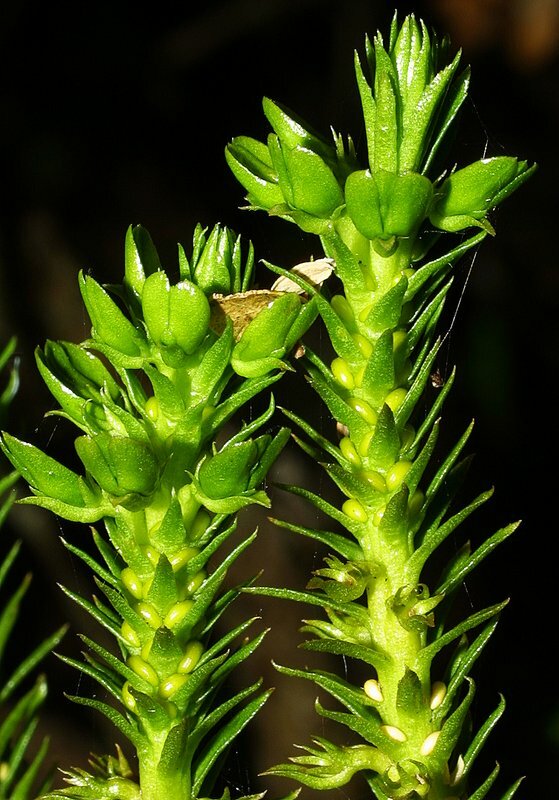 The overlapping leaves are spirally arranged around the stem. 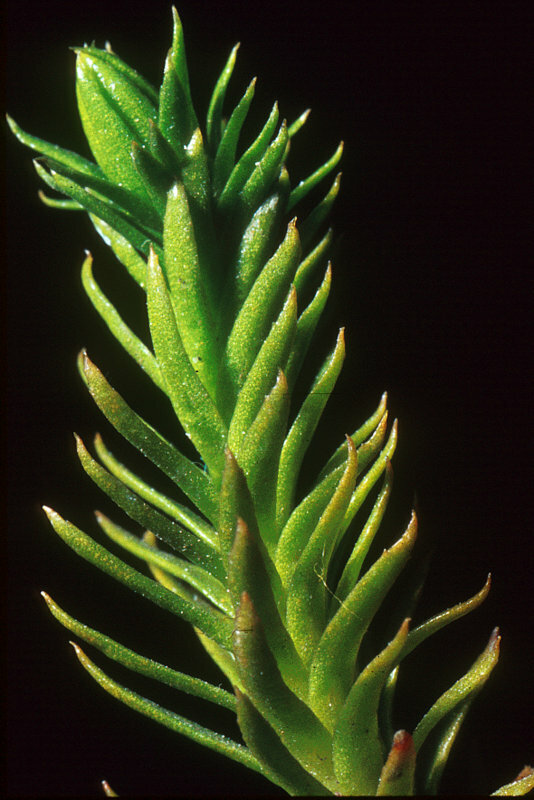 Sterile leaves are similar to fertile leaves (sporophylls) and are not organised into cones. 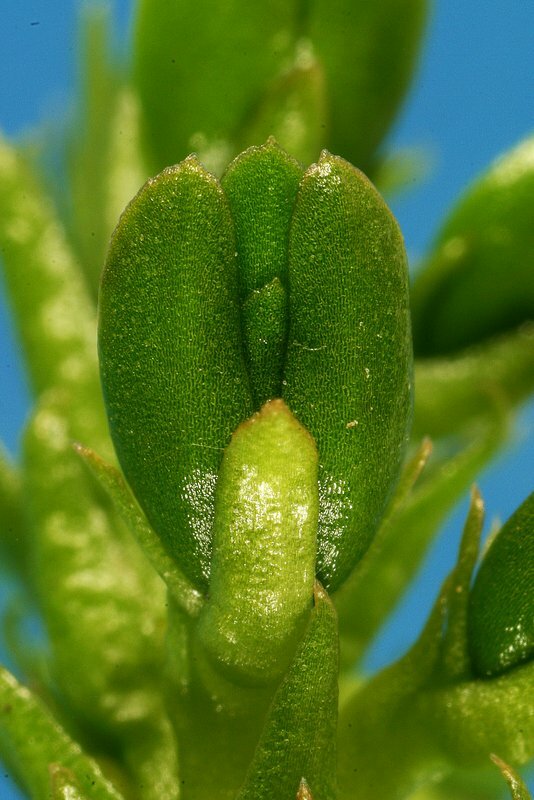 Distinguished by the formation of small buds (bulbils) which when detached grow into new plants. 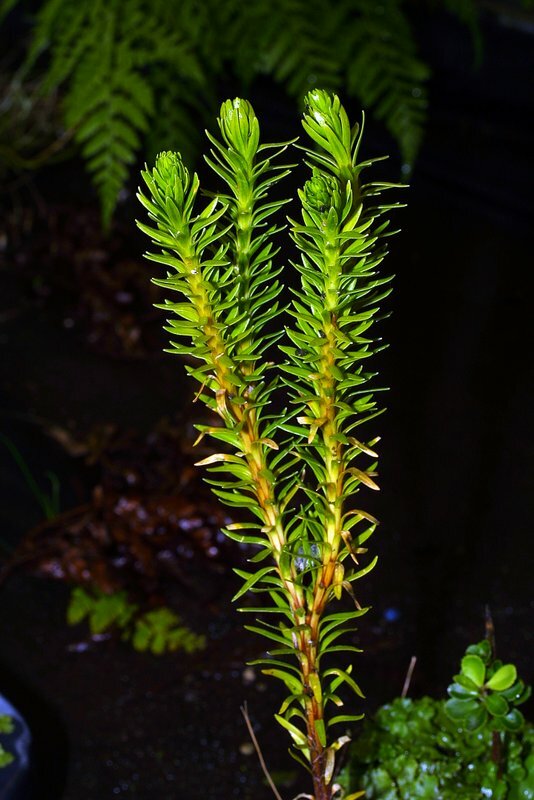 Formerly Lycopodium australianum. Found at higher elevations from the middle of the North Island down to sea level on the South island.